If you adore the soft shades of floral blooms, then this sterling silver bead will be a dream piece for you. 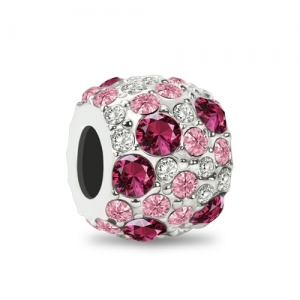 Its featuring in white, pink and light pink crystals and sparkle will look fantastic against sun-kissed skin or with pastels. This is a beautiful charm for the bracelet.